'The Flash' is beginning to get a little crowded as Earth-2's Harrison Wells has made his presence known to Earth-1's Barry and as he tells Joe in one of the clips below he's not sure he can be trusted. Dr. Light comes on through the portal to shed some light (sorry) on Zoom and a scene from Earth-2 has Wells and Jay Garrick in a tense confrontation. 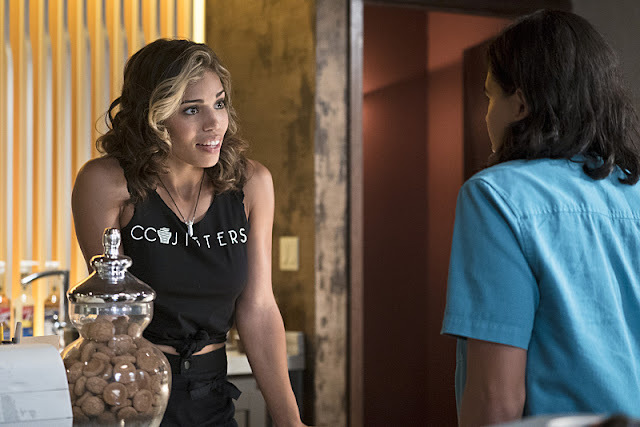 And Kendra Saunders aka Hawkgirl makes her debut tonight in another clip where poor Cisco gets shot down. Whew! Catch 'The Flash' tonight at 8 on the CW.